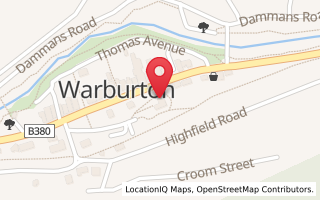 May has some great events in Warburton - this weekend has an exhibition opening Saturday, the Community May Fair on Sunday and the big event for May - back after two years - The Warburton Nordic Festival. Enjoy! The Enchanted Song Book exhibition will showcase paintings and sketches from the book of the same name, as well as other fantasy art by the Warburton Fairy. Original watercolour paintings, limited edition prints, books, cards and CDs and will be for sale. 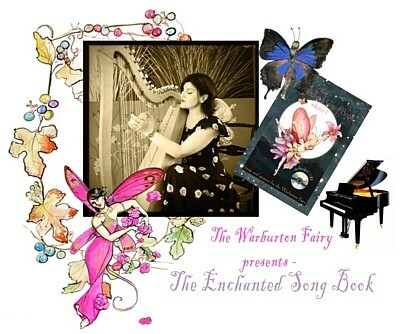 The Warburton Fairy will bring her harp and perform at the exhibition opening. Children are most welcome to come dressed as fairies, wizards and mermaids – reflecting the fantasy themes from the Enchanted Song Book. Free nibbles and beverages will be on offer, and entry is free. Warburton Community May Fair: To showcase community groups to residents of the valley, proposed supporters and interested potential members. A great way to get new members for your group or tell more people about your groups facebook page or monthly meetings - and get them involved. This is all about building a stronger community. 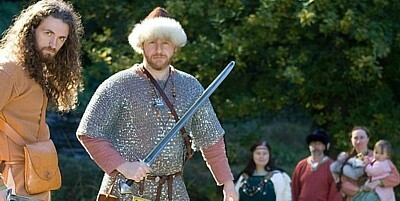 The Warburton Nordic Festival will be held May 18 and 19, 2013. The festival offers a "smörgåsbord" of events! From folk music to cooking demonstrations, from a Viking Camp to a Lantern Parade, from a Street Parade to an afternoon dance and from a church service to a Lapland theme dinner..